What is an incorrigible child? In the juvenile justice system in the U.S., there are crimes referred to as “status offenses.” These are crimes that only a minor (someone under age 18) can commit. If found guilty of a status offense, you are referred to as an “incorrigible child.” Examples include runaway, curfew, truancy, and possession of tobacco products and alcohol. You can be cited into juvenile court for these offenses by your school or probation officer or receive a ticket from the police with a scheduled court date. Once you go to court for an incorrigible offense, you can either admit it or deny the charge. If you deny it, the court will set a hearing where the prosecutor has to prove the case against you. The court may or may not appoint a lawyer to represent you. It depends on the court’s policy and available funds to pay an attorney. You could also be appointed a lawyer from the public defender’s office. 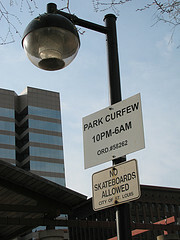 Many status offenses are handled by local “teen courts” if these exist where you live. The consequences usually include community service hours, a paper or a class about the law as it relates to your offense. Once you complete the consequences, the case is closed and these offenses should have no effect on your life once you become an adult. Depending on your history, you may also be eligible for a diversion program. Once you successfully complete all terms of diversion, the case will be closed and you won’t have a record that will appear in a background check.